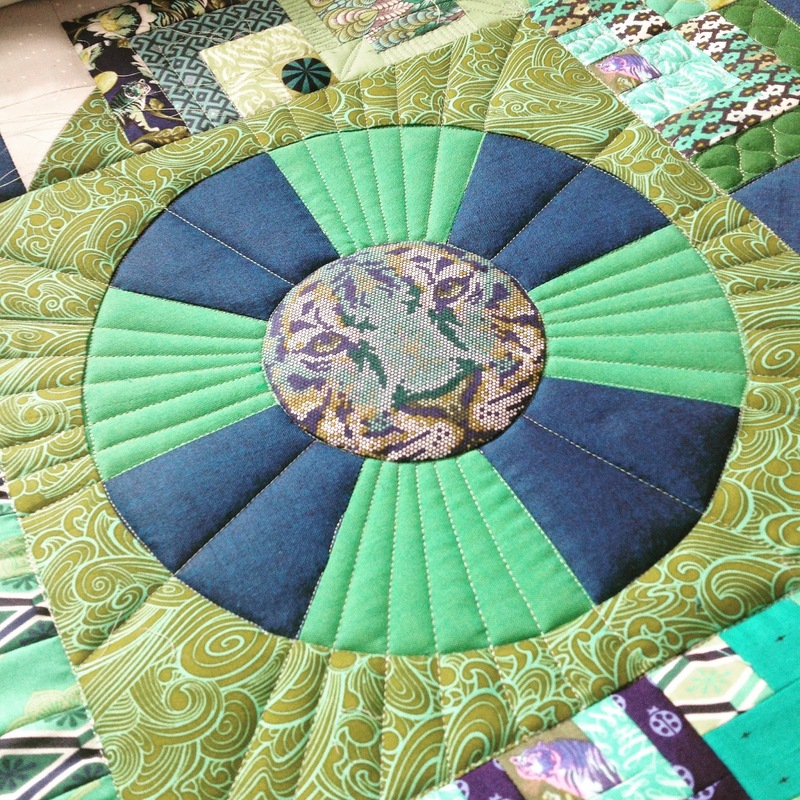 I quilted the grass as I advanced the quilt...once I got to the flowers, I went through and did all of the petals first. I used my curved rulers to stitch in the ditch around each flower and echo lines. 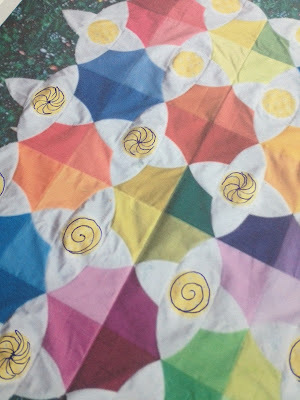 Aren't the rainbows so pretty! 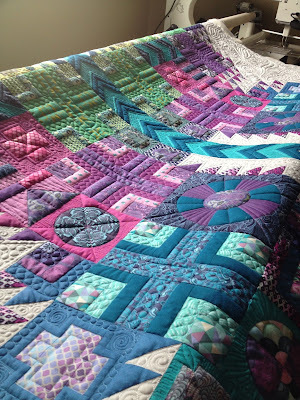 They look like gemstones! I love how the waves lines of the grass show up on the backing! 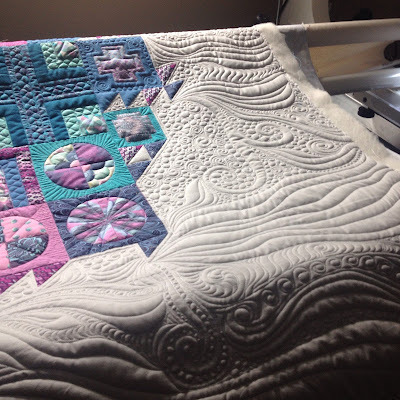 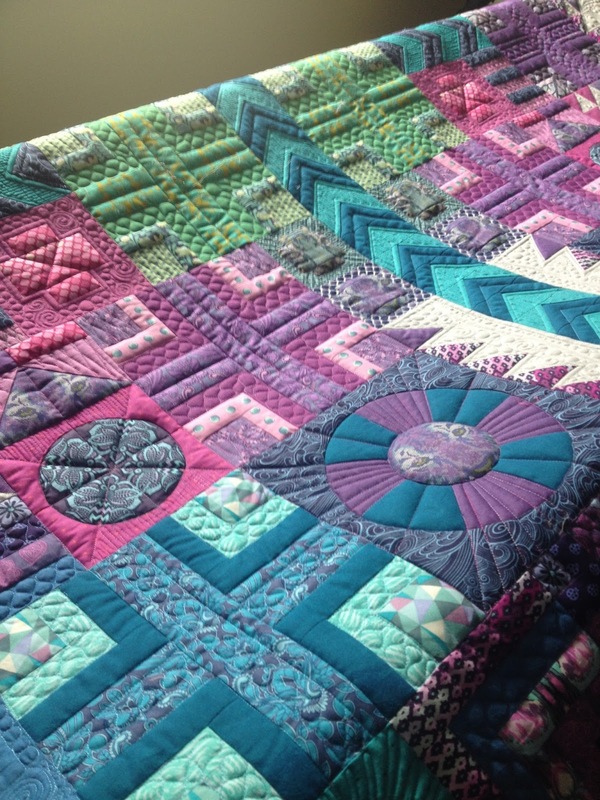 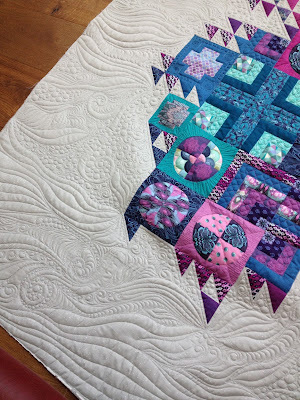 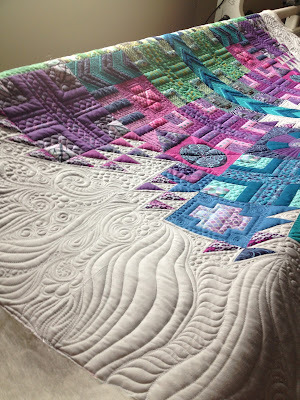 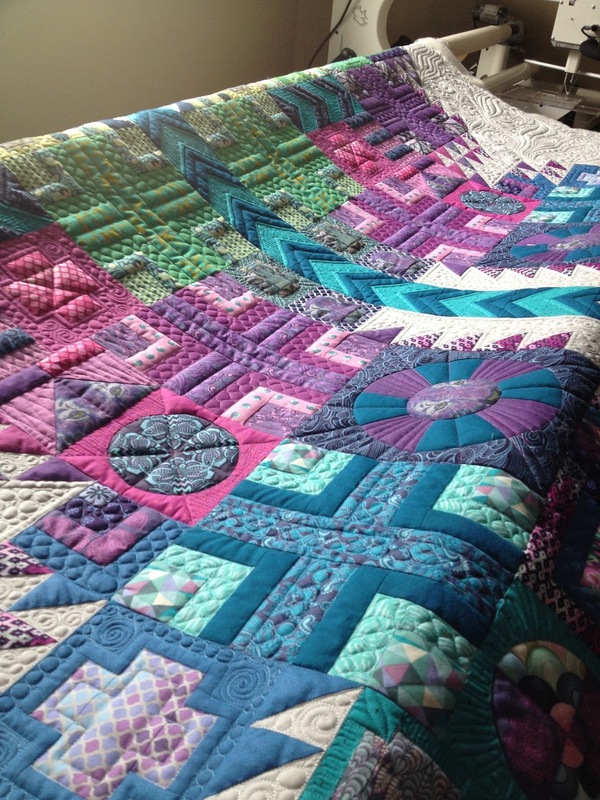 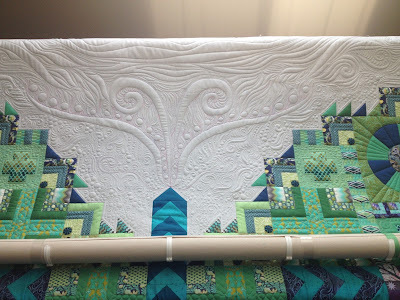 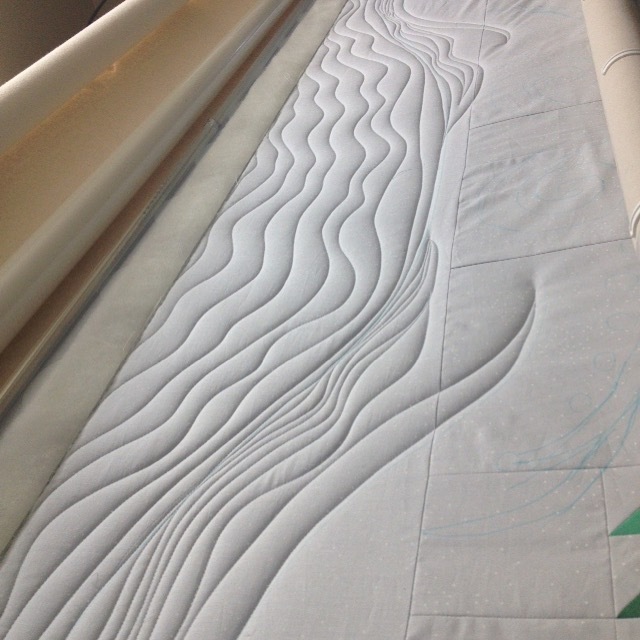 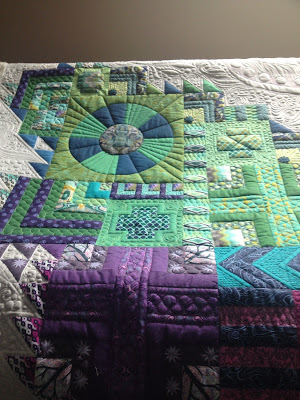 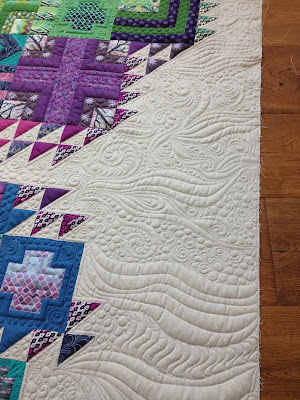 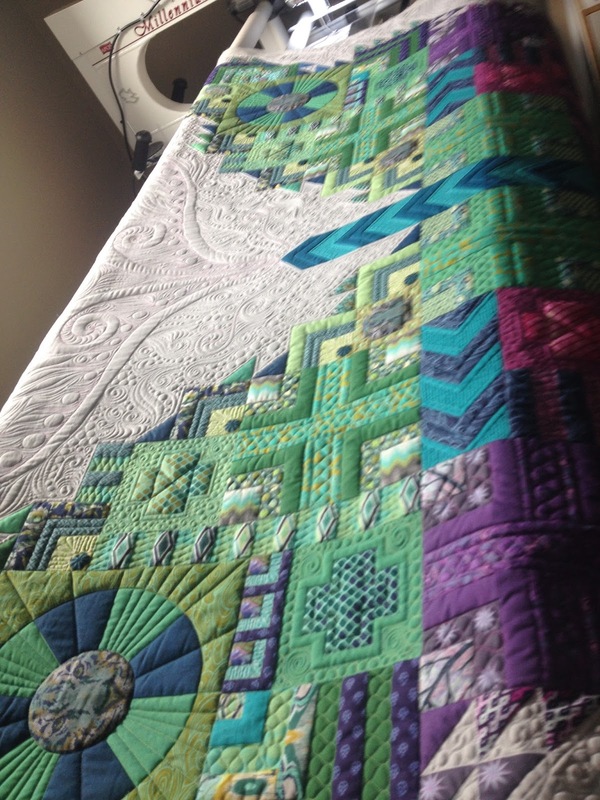 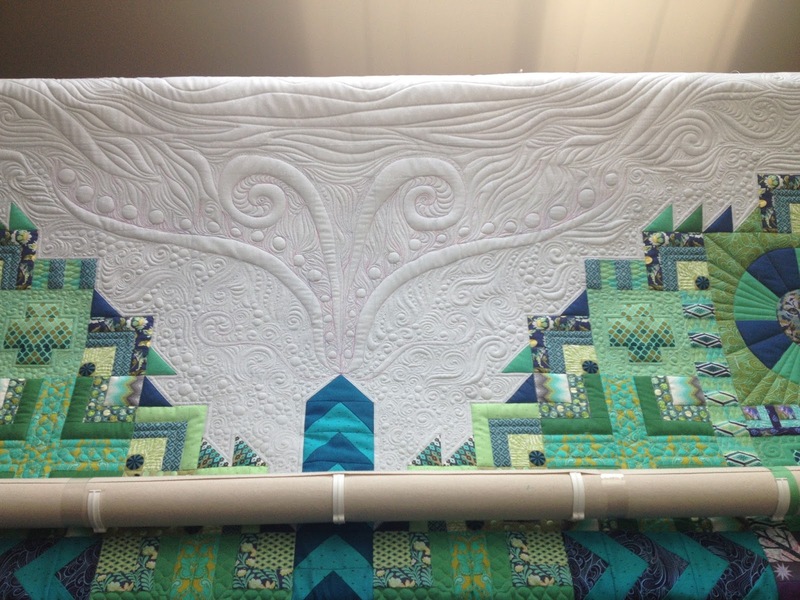 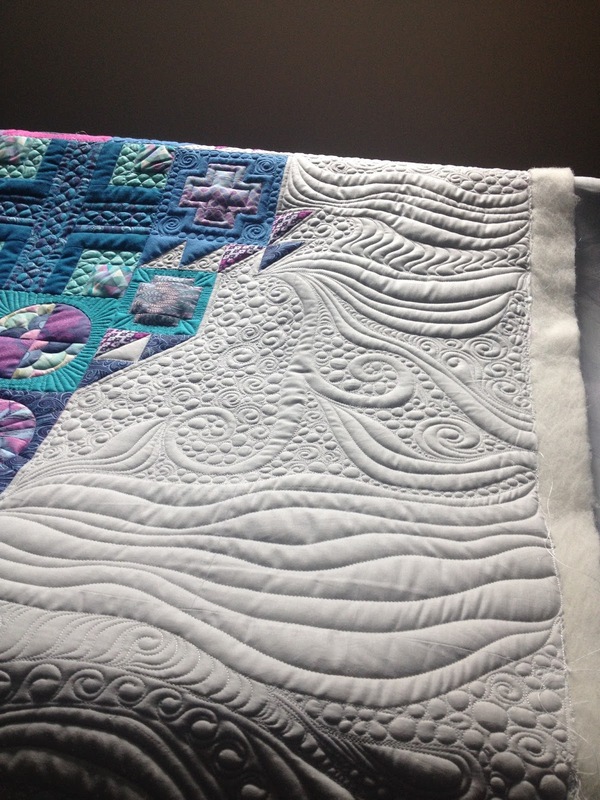 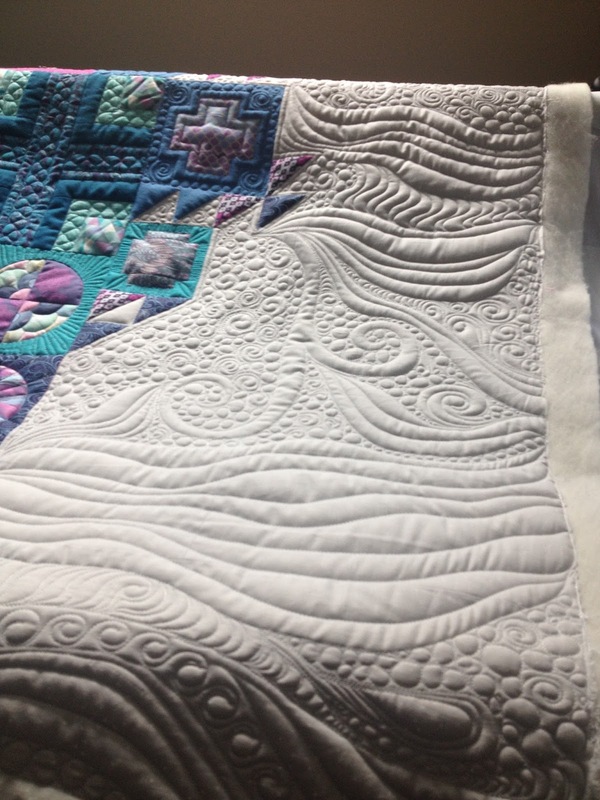 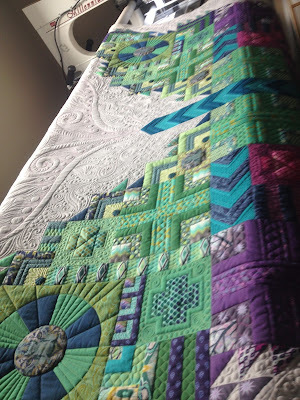 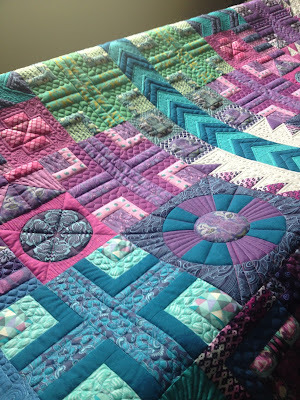 If you have any questions about this quilt or process always feel free to ask! 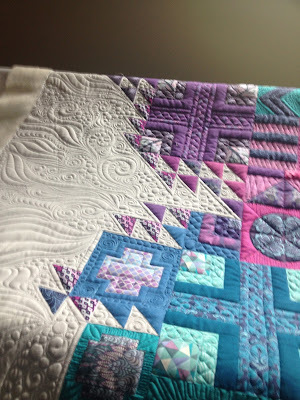 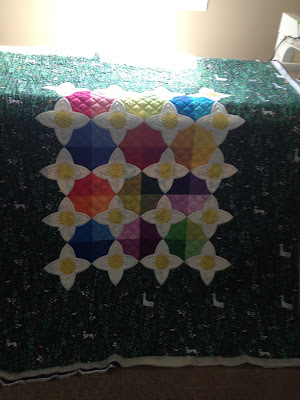 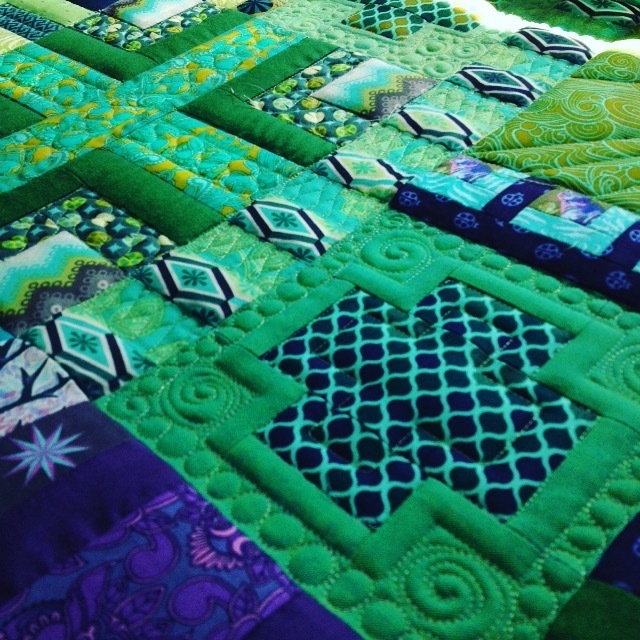 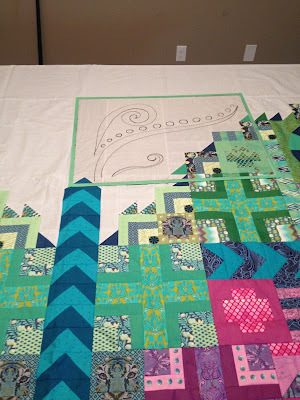 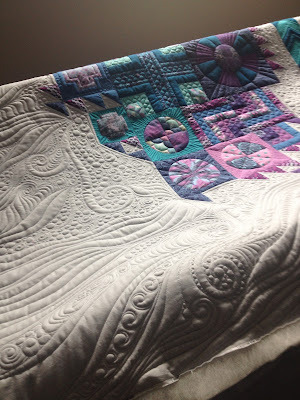 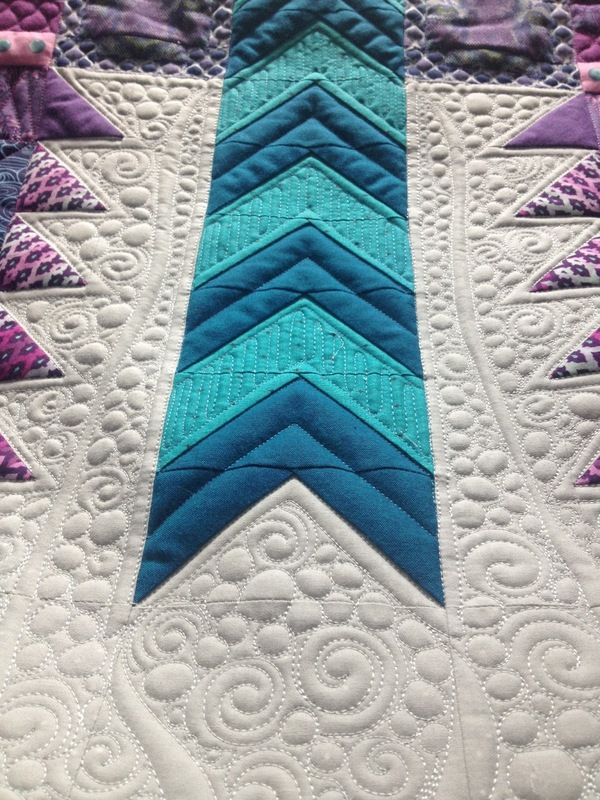 Each block was stitched in the ditch, and then quilted to have a positive/negative pop with the piecing. 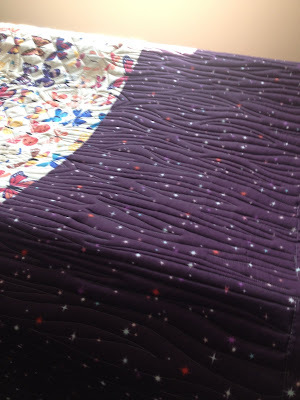 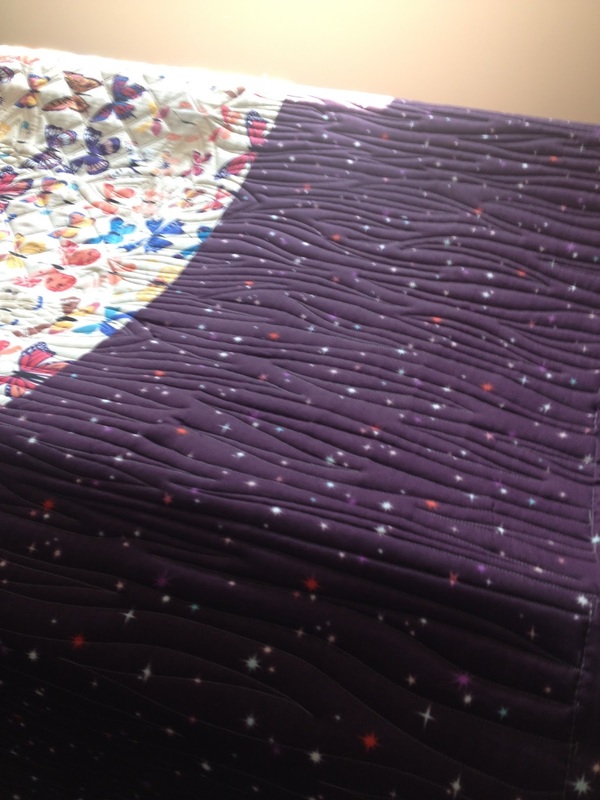 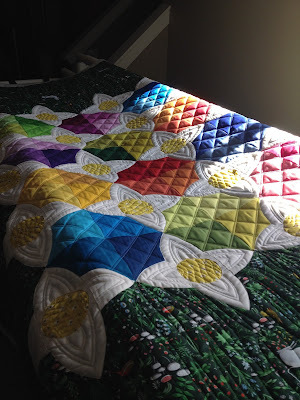 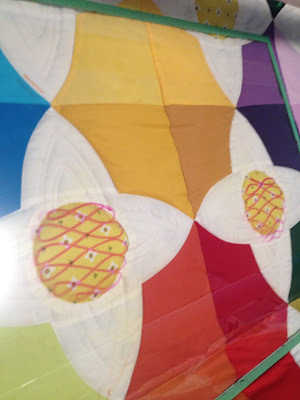 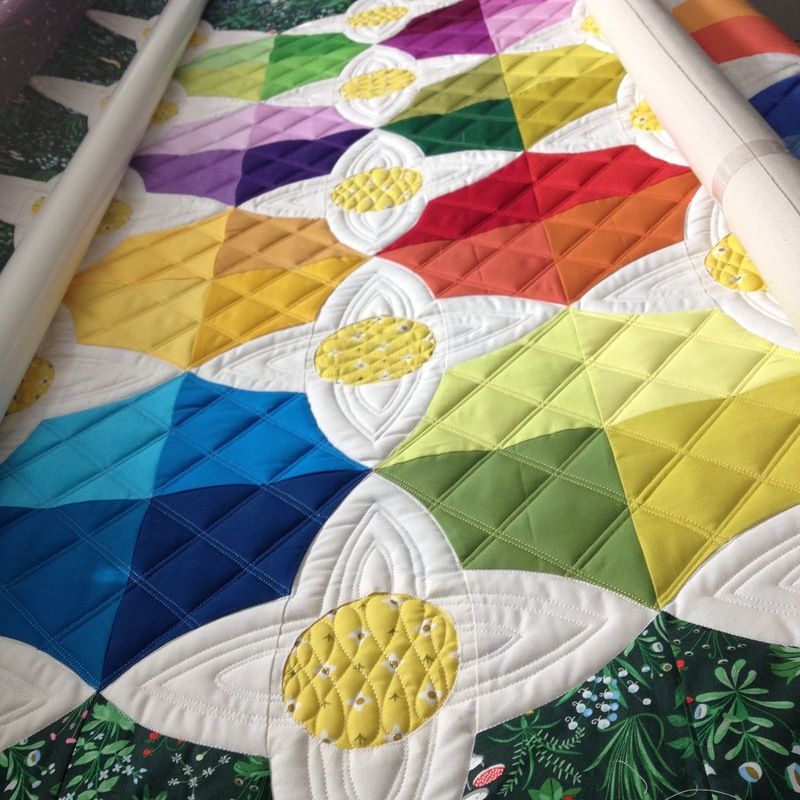 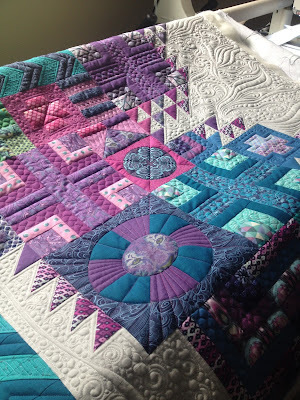 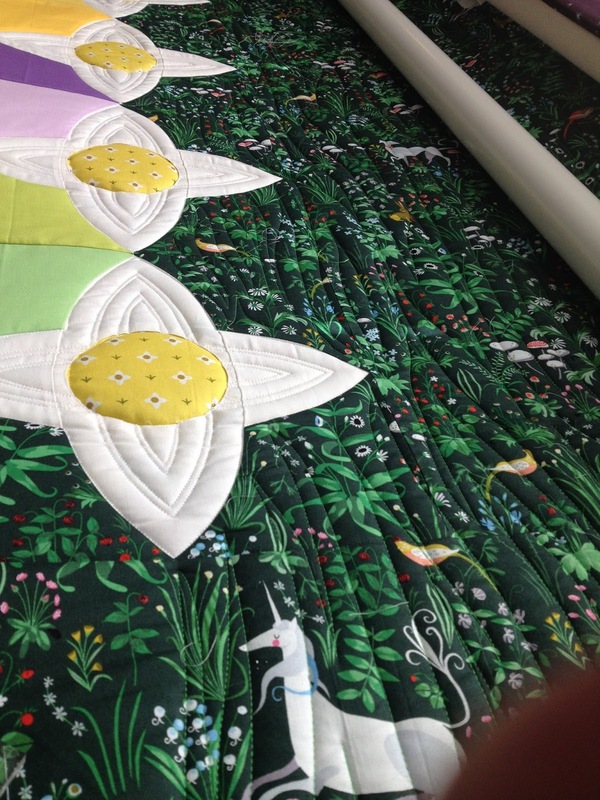 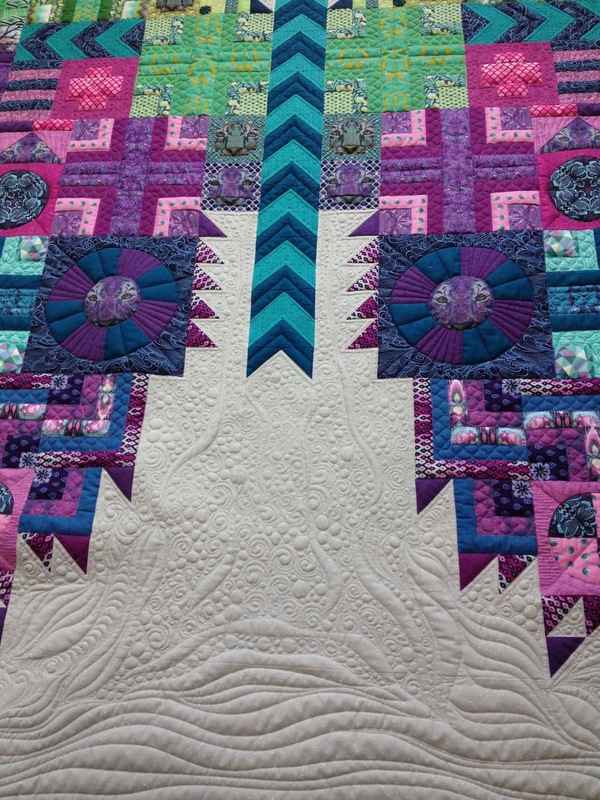 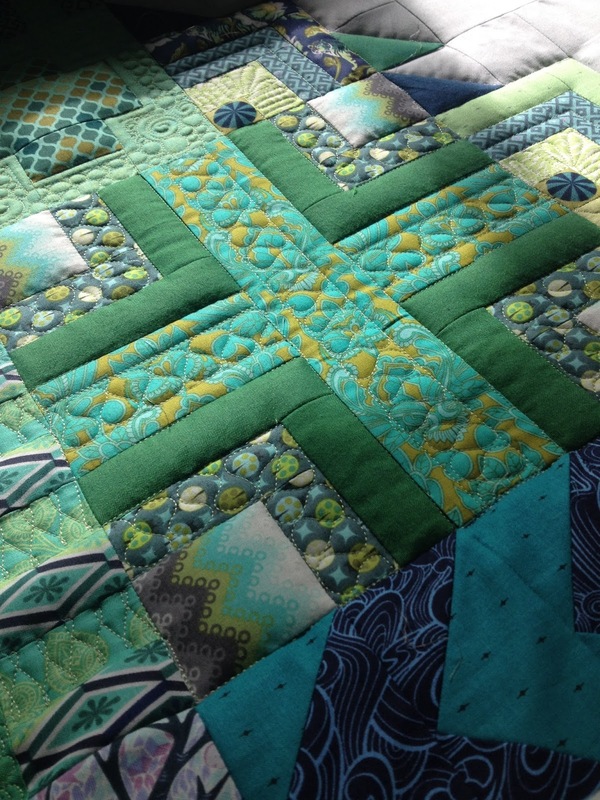 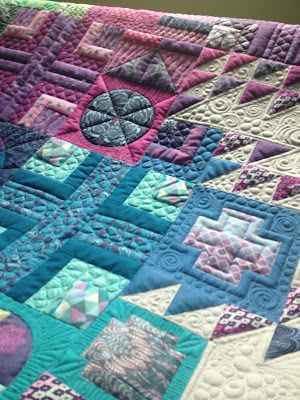 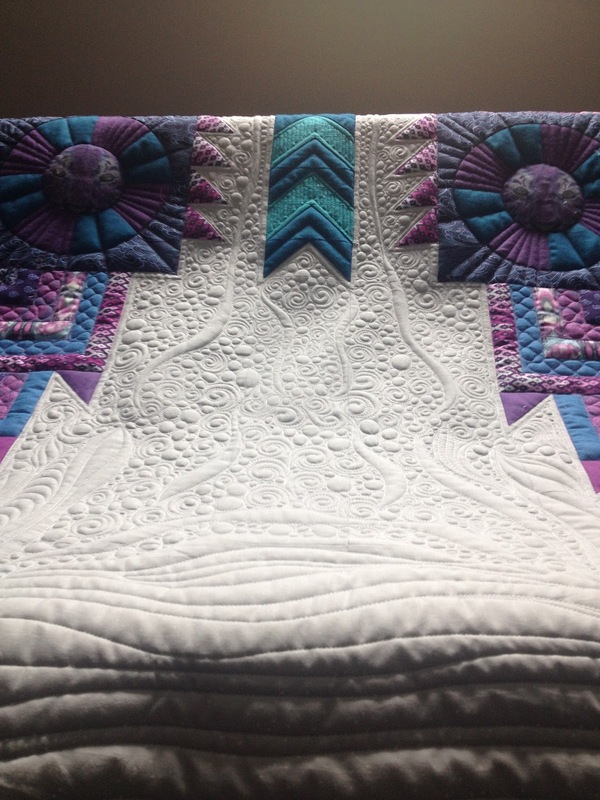 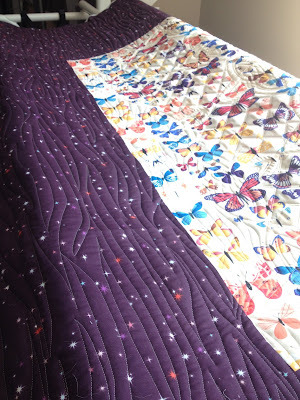 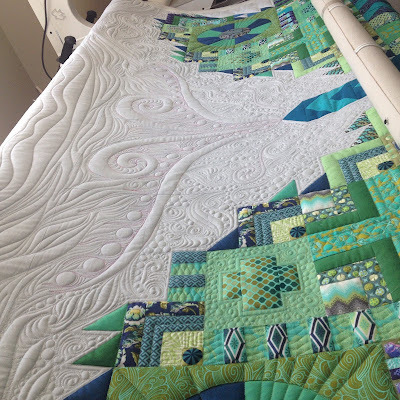 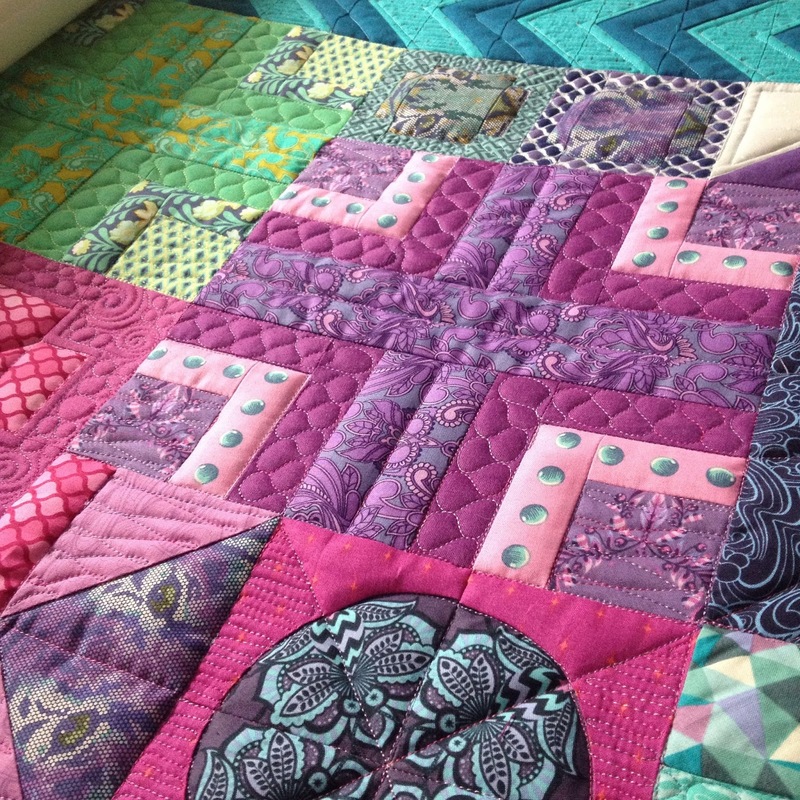 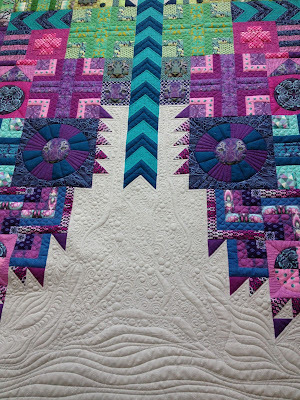 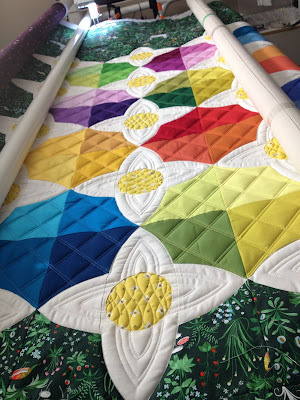 The body chevron pattern of the butterfly was quilted to show texture and dimension, again, stitch in the ditch first and then accent quilting. Even the lighter teal colour in the body was fussy cut...tiny dots that were perfectly placed in the triangles. 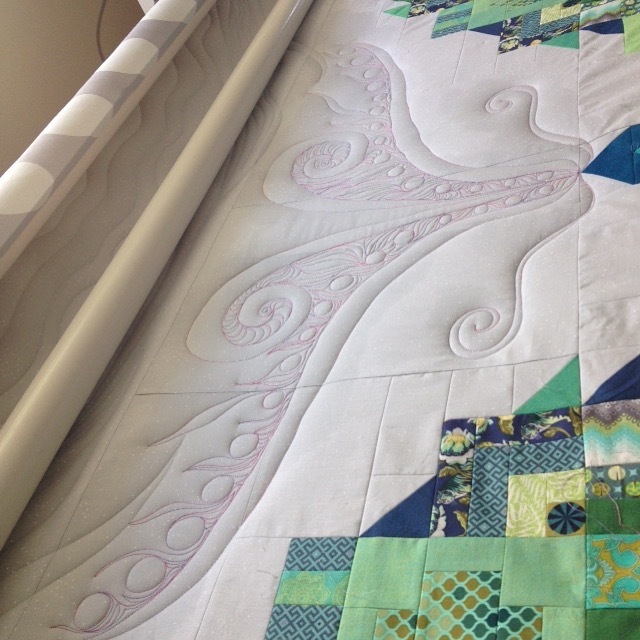 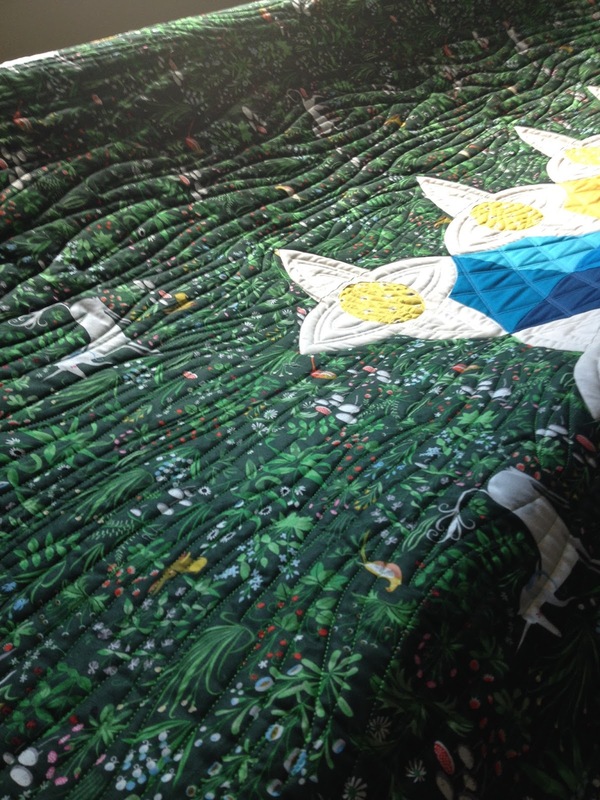 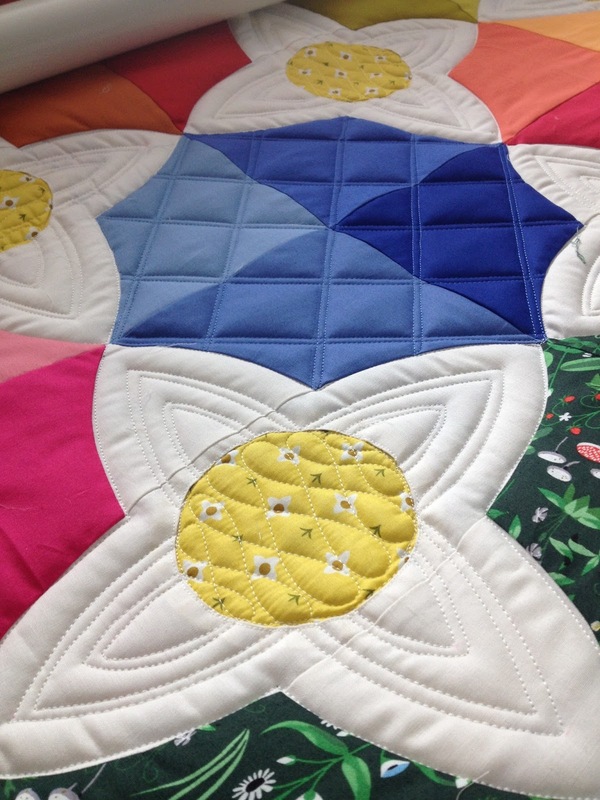 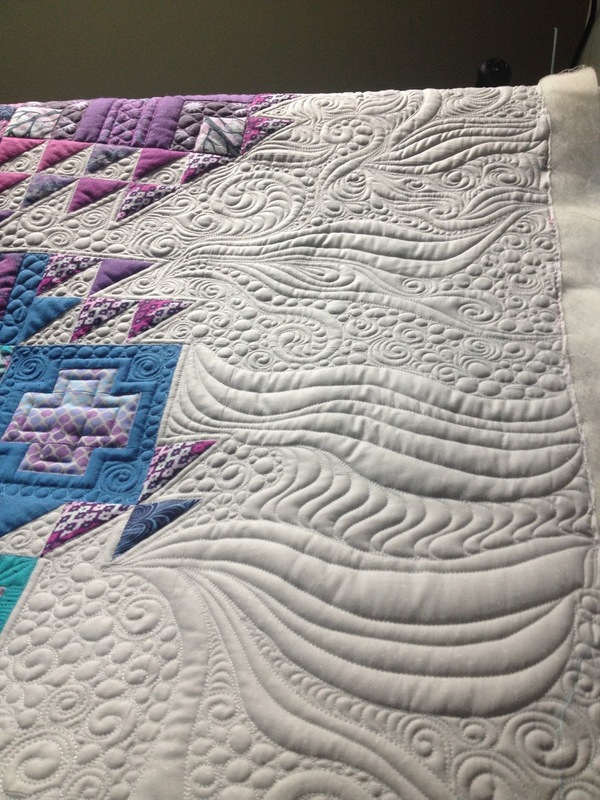 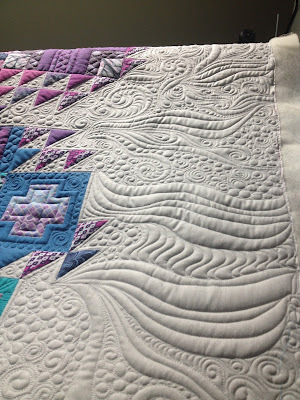 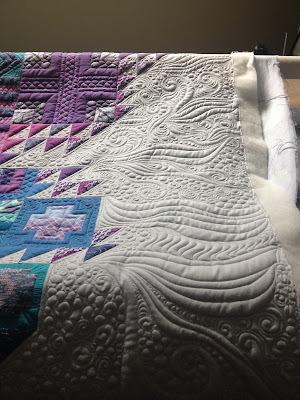 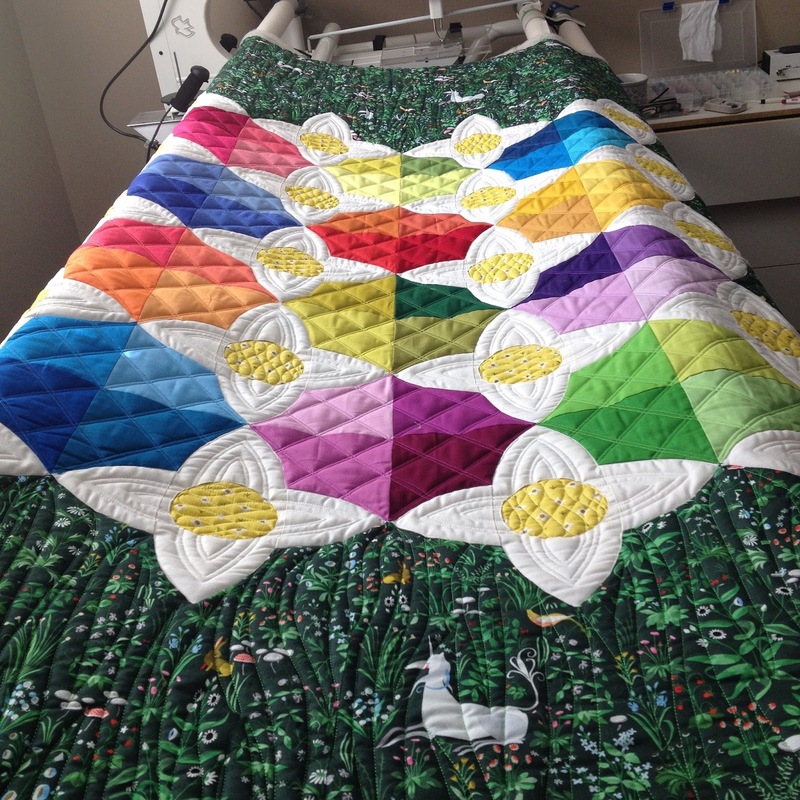 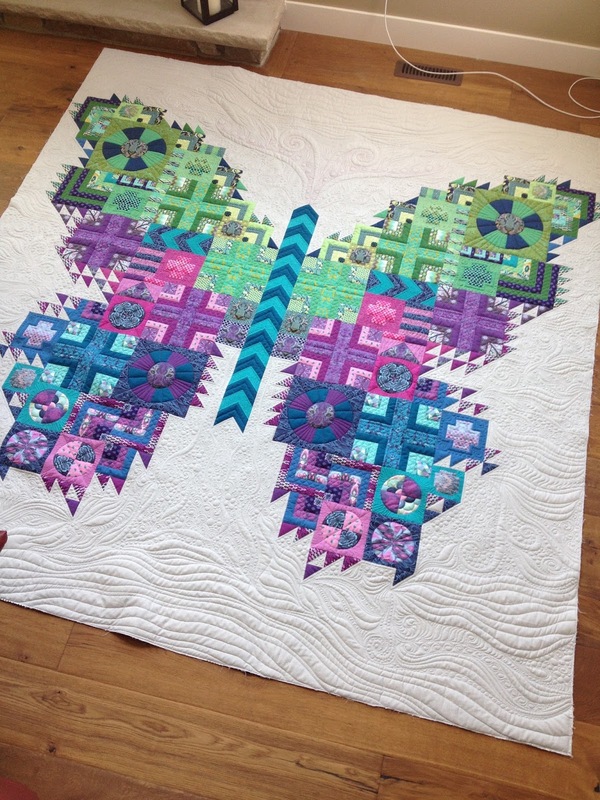 The outside edge of the entire butterfly was outline quilted with a 1/4'' border.